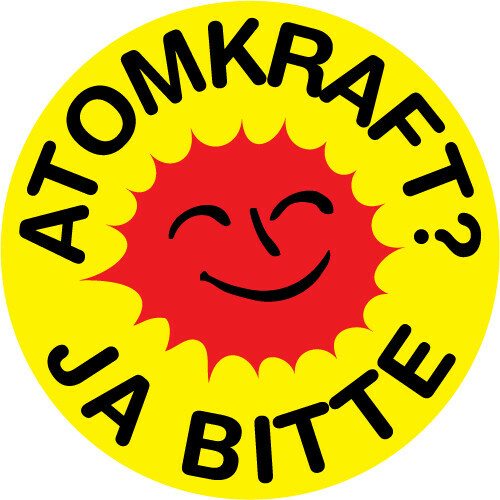 I might be wrong, but right now, and in lieu of a better alternative: Atomkraft? Ja Bitte. No idea where the original “Nein, Danke” logo came from, so it seems cheeky to license this as anything other than public domain.